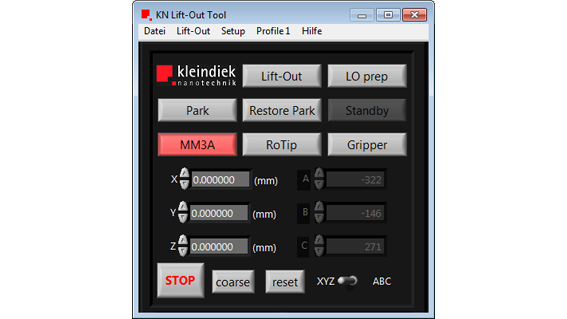 The iLO Graphic User Interface provides an intuitiv and seamless way of positioning the micromanipulator's tip or the attached microgripper on the sample, lifting the sample out and attaching said sample to the desired receptacle. 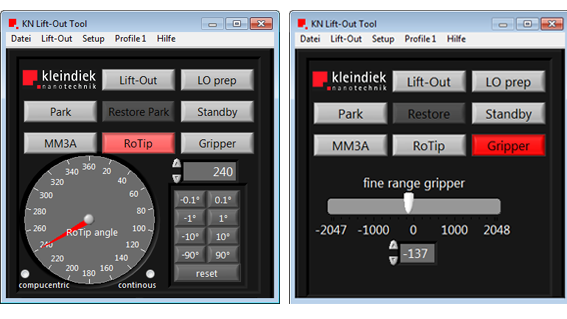 The tool tip is positioned by simple drag & drop actions while the tip's motion is automatically adjusted for the currently active beam, the beam's rotation, as well as the magnification. The software provides a new action button that executes a perfectly vertical lift-out motion. It also integrates a convenient park & restore function as well as a stand-by position providing an intermediate 'parking' position within the microscope's field of view where the needle can be placed between liftouts. Control for the MGS2-EM microgripper is supported. 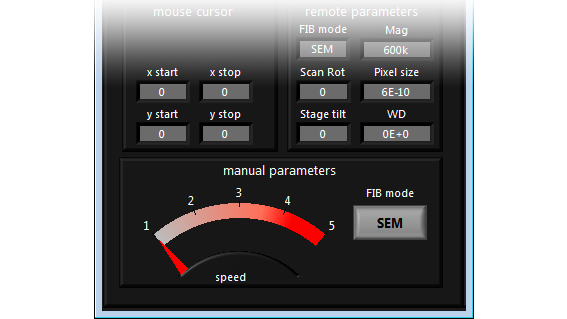 The Rotip-EM can also be operated via the software. After calibration, the RoTip can perform continuous compucentric rotation.